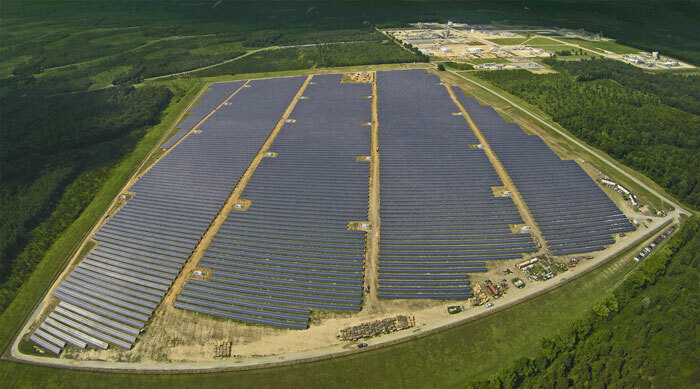 Above: Demand for utility-scale solar power generation plants like this one has grown exponentially over the past 10 years. January 5 (SeeNews) - US-based solar racking systems supplier GameChange Racking LLC (GCR) expects 2016 to be a strong year for the company with some 1.2 GW of sales. Meanwhile, it is preparing for the launch of a “breakthrough” product and expansion into new markets. GCR, which offers both fixed tilt and tracker systems, roughly tripled its sales volume in 2015 to approximately 300 MW, founder and CEO Andrew Barron Worden told SeeNews Renewables in an interview. After the 1.2 GW expected in 2016, GCR is eyeing 3 GW to 4 GW of sales in 2017. On March 15, 2016, the company will unveil its new single-axis tracker, called the Genius Tracker. According to Worden, this system will be “a real landslide change in the cost of solar trackers” because of how cost-effective it is to manufacture. GCR’s head of engineering expects the cost to be in the low teens per watt in the US and around USD 0.10 (EUR 0.09) per watt on international markets by the end of 2016. “In 2017 that one product will be more than half of GCR's annual revenue,” Worden added. In 2015, GCR’s main market was the US, where the company is based. Its busiest state was North Carolina, where it sold 150 MW, including 32 MW for Duke Energy. It expects this state to be very big for the company in 2016 as well, with an expected sales volume of 500 MW. GCR will be seeing work in other areas in the South like Mississippi and Alabama. Also, the Minnesota solar market is expanding and the firm anticipates a lot of work there too in 2016, Worden said. GCR is rolling out its new single-axis tracker first in the Southwest and Southeast. In Connecticut, New York, Massachusetts and New Jersey there are a lot of landfills where the company’s technology would be suitable for installation. Landfill solar energy is a niche business for GCR and accounted for between 90 MW and 100 MW in 2015. This year it is expected to reach 200 MW. Just recently, the largest Superfund landfill solar system ever deployed in the US was completed. The 12.9-MW installation in New Jersey uses the GameChange Pour-in-Place ballasted ground system. The solar farm was built for Public Service Electric & Gas Co (PSE&G), the state’s largest utility. Some sector players believe that 2016 will not be as big for the industry as 2015 because, following the extension of the investment tax credit (ITC) in the US, companies will not be rushing installations. According to revised projections by research firm IHS, the US will install 12 GW to 14 GW in 2016, with up to 5 GW of utility-scale projects left for later. In 2017, the country is expected to see solar installations growing further to 13 GW-16 GW. GCR plans to also seek opportunities in international markets. The company’s three big areas of expansion are Central America, South America and Africa. “Mexico is growing slowly but in a couple of years it will be big,” Worden said. At the same time, GCR targets Honduras and is looking at Chile and Brazil, but they are kind of “come and go” for the company. There are also small projects GCR is hopeful about on island nations such as the Cayman Islands. GCR recently announced that in February 2016 it will bring online three additional roll forming lines in Detroit, Michigan, that will boost its total capacity to over 2 GW. The new lines will have annual production capacity of 600 MW for panel mounting rails for utility-scale thin-film projects and Grid-Lite roof systems, along with 500 MW for pile manufacturing for all GameChange mono-post ground systems. However, Worden does not expect this to be enough to cover demand in the coming years. "It will definitely not be enough. We grow capacity six to 12 months ahead, basically. We’ve grown our capacity to just over 2 GW, but remember, 2 GW of capacity can only really make something less than that because the customers don’t give you the orders evenly every month. They kind of like sit around until late spring and then they start giving you their orders usually. So, you need 2 GW of capacity to make just 1.5 GW of racks." "The 2 GW covers us for everything we’re making in 2016 and then in 2017 we expect our sales to go from 1.2 GW to 3 GW-4 GW, which is a huge increase and we’re going to have to grow capacity substantially," the CEO explained.